If you live in Arizona, you are well aware of how vital shade and cooling options for a living space are in the brutally hot summers. Just because you live in one of the most blistering places in the country does not mean you have to sacrifice fun communal outdoor time. There are many patio shading options out there, from pricey investments to inexpensive options. A pergola is essentially an additional roof that is built over your patio or deck. A pergola is beneficial because it protects your patio from harsh sun and uncomfortable breezes, essentially turning your patio into a true extension of your home. However, pergolas are quite expensive and has to be attached to the roof of your house, meaning you may have to acquire a permit to construct the pergola and invest time and money into its construction via a roofing company. However, a permanent pergola could add value to your house if you decide to sell or rent it in the future. Have you been to a barbeque in the middle of summer and felt relieved to see a portable canopy in the yard? Portable canopies are a cheap alternative to installing an awning or roof extension. It is also useful for outdoor events of any kind. The only real downside to portable canopies is their lack of aesthetic appeal and its lack of permanence. Nobody enjoys putting up and taking down a tent constantly. Awnings are nice because more often than not they are offered in retractable models. When the summers are blazing and you need shade, you awning is there. When the cold winter roll around and the winds make your awning more of a nuisance, you can retract it and pull it out again in the summer. Unfortunately awnings are susceptible to wind and rain damage, so if it is left out during haboob season you may have to deal with the damage. Awnings are also quite expensive but also easy to install. A roof extension, like a pergola, is a permanent structure. It is an extension of an existing roof that hangs over a patio area. Roof extensions are expensive and take time to construct, so it will require a generous budget to complete. Natural shade is a great choice for many reasons. A plant based shading system is beautiful and adds a much needed element of nature to your backyard patio. A big tree makes a house feel more like a home and can provide adequate wide shade that will keep everyone safe from harmful direct sunlight. The Sonoran desert is home to many native shade trees that can survive well without too much water. A trellis is also a nice green option that can showcase beautiful vining plants. The only downfall to natural shade is future maintenance and expenses to keep up the health of the plants. How should I prepare my roof for the addition of shade construction? It is strongly suggested that you look into a roofing company to do a professional and mistake-free job installing your pergola or roof extension. Doing it yourself could not only result in faulty construction, but could also be a huge waste of money. Roofing contractors like Arizona Roof Rescue in Glendale can help you do a proper job of building and maintaining a perfectly shaded patio. Roof maintenance is very important, regardless of your patio shade situation. If you decide to go with natural shade for your summer patio, it is vital that you maintain your roof by cleaning off debris and leaves your tree may leave on your roof. If you neglect proper roof maintenance Glendale, plant debri could build up on your shingles and retain water after storms. This can lead to rotting, leaks, and severe damage. Before you embark on your roof extension project, you should make sure your roof if sturdy enough to be extended. 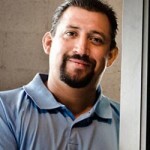 A roofing contractor can help you figure out exactly what steps to take and give you a price quote for your project. 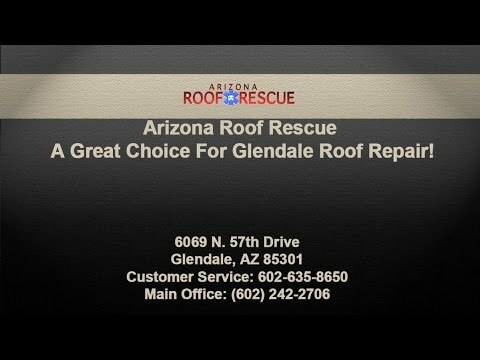 Contact Arizona Roof Rescue today!